Whatever is measured and reported increases significantly. Whatever is measured, reported and publicly committed to increases radically! Need clarity of what your goals are? Phelps Helps. Want to be the best at the PPO game? Phelps Helps. Want to get out of the PPO game and go Fee For Service? Without losing any patients in the transition? Phelps Helps. Want to create a practice independent of you or create a right work life balance? Phelps Helps. If you’ve read any of the 50+ articles that I’ve written in dental journals, heard me on the 100+ podcasts I’ve been on or heard me lecture in person you know I that I’m all about bringing you value and getting you to here you want to go. All while making as few mistakes along the way as possible. I’ve already made them. Why should you make them to? I only take 12 Dentists for this program as you will have my undivided attention and focus to help you put out the fires going on in your practice and get back on the path to grow again. Last year my average coaching client grew by over $250,000 in revenue from the previous year. That’s over 25% growth in a single year where they had 0%-8% growth at the most in the years prior. One of my clients was up 48% from the previous year and now has enough Associates working his practice that he doesn’t even have to be there any more unless he wants. 1 on-site training which I’ll try to do during the 1st quarter of 2019. That means I come to you. All expenses included so you just have to put your team in front of me and let me influence them to increase your case acceptance and revenue and pay you back from what you invested in my program from the get go. Unlimited access to me. You want to schedule a coaching call, have an issue going on in your practice you want to talk through, need my help with creating a solution to your problem? All you have to do is schedule the call and we’ll get it done with a solution in place and plan to put it into action. Day to day conversations. I’ve created a private What’s App and Voxer group just for my coaching clients so we can communicate daily. You can post your issues to me privately or to the group so everyone can learn. It’s your choice. 4 workshops in Charlotte NC. After the Jan. 19th event we’ll schedule the remaining 3 as a group so there no schedule conflicts for the others in your group. You can’t do it alone so you can bring an office staff member with you to each of the 4 events in Charlotte so I can teach you both how to find a team built to grow and delegate and influence them to get their jobs done without you having to micromanage them. 1 of those workshops will be combined with my Year 2 and Year 3 coaching groups so you can hear their stories, the path to success I helped them create and more. Need help creating your own membership plan for patients without dental insurance? Done! You get access to all of the products I have for sale at www.membershipsavingsplan.com included. Need help finding a better quality new patient? You get access to my two day marketing video at www.calltrackerroi.com/ready included. Need help tracking your marketing, help with scheduling? You get my Telephone training program included to help your team convert more new patient phone calls as well as discounts off my Call Tracker ROI and my Golden Goose Scheduling services. just like you are saying about this program! Dr. Phelps will help you progress until your practice goals are achieved, all within a community of like-minded dentists with similar problems and issues who want to support and help each other grow. Come see the results for yourself or contact a dentist directly to learn more about their experience! "We keep getting better and better- we are always improving. We have seen a radical amount of growth in a small amount of time[.]" "It has been a game changer for my practice." Who is this guy and why is he the best person to use his wisdom and experience to help you get to where you want your practice to be? From 2003-2010, Dr. Phelps grew his fee-for-service practices by a factor of 10, going from one location to four and growing from $600,000/year in collections to over $6.5 million/year. In 2011, he changed his mindset from growing for growth’s sake to maximizing the capacity of his existing offices. In 2011, he sold his two best offices for profit and took over his two least-producing, highest-debt offices, one of which was an office he opened from scratch earlier that year that collected $35,000/month; unfortunately it cost him over $70,000/month in expenses. In total, these two practices finished 2011 with a combined revenue of $1.6 million. Over the next three years he grew those two practices for a combined revenue of $6 million/year, doing with two offices what he used to do with four. Have you ever wondered what the secrets to practice growth are? How about radical practice growth? In the Strategic Practice coaching series. Dr. Phelps has taken the elements of his radical growth and mapped out a step-by-step plan on how you can do the same. Whether you are a solo practice, just getting started, practicing and adding associates, or in a multi-practice or multi-doctor group looking to take it to another level, Dr. Phelps helps you do just that every step of the way. 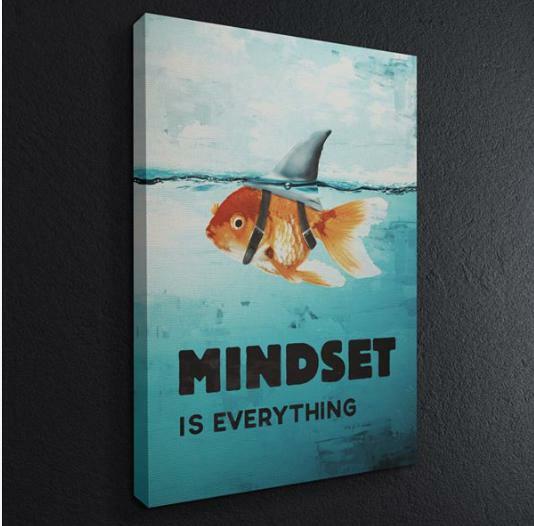 You will define your goals and refine your vision every 90 days to stay on course. business and grow practices. You can see all his reviews by clicking here. "After 2 years we [have grown] 37%"
“I had the opportunity to speak with Dr. Phelps...he’s as good as advertised. The information he shared with me was original, insightful and just plain smart. No gimmicks, no shady sales, no pressure techniques to trick the patient...instead, he uses the power of choice (as described above) and reciprocity to create the environment for favorable responses and communication. Go to the course, I plan to do so at some point for sure!" What would you be willing to do to grow your practice and be ready to compete in tomorrow’s uncertain dental economy? 1 extra crown per month? 2 crowns per month? That’s the investment we’re talking about. 1 Onsite training at your office on any topic you’d like me to train your team on. My 2-day Marketing for Better Quality New Patient Video. Creation of your own Dental Membership Plan with design work for the application page and patient brochure as well as Team training videos on the topic. Introduction to Influence Team Training Video. Free tuition for one of your key team members at each of the 4 workshops. Voxer and What’s App private group areas to have daily discussions about what’s going on in your practice so if a fire pops up, we can put it out quickly. Kolbe A Assessment Test, Team Synergy Reports, Dr. Phelps Hiring and Firing Systems and more. Unlimited time with Dr. Phelps. You need a coaching call? Got a problem that needs addressing today? All you have to do is ask and Dr. Phelps will be there to help you. Videos of all four workshops that you can watch at your convenience and in the comfort of your own home. The video recording of his two-day marketing event. The Influence Case Acceptance video. 50% discount off of anything on his www.membershipsavingsplan.com packages. Access to all of the worksheets/forms that attendees of the course will receive and fill out. You'll have access to Dr. Phelps via WhatsApp and Voxer to get any of your questions answered. How to master external, internal and grassroots marketing to find a better quality new patient. How to keep your practice fee for service and be the best you can at the PPO insurance game or find a different way to compete outside the insurance game. Phone language and strategies can help your team answer more new patient phone calls and schedule more appointments. How to create your own Dental Membership Plan and how best to promote and sell the plan. How to use the Science of Influence and Persuasion to increase your case acceptance, decrease no-shows and more! Gift and reward systems that incentivize team members. How to create the best possible patient experience to help prevent patient attrition. Defining the 5 most important metrics you need to monitor in your practice. Understanding everything that makes each metric go up or down. Set quarterly goals and action plans to move these 5 metrics in the right direction. Identify what you’re procrastinating on and help you scratch it off your list. Staff embezzlement protection and systems or prevention. Teaching you how to buy back your time and increase your happiness, be more productive and make your practice grow as a result. Systems and strategies on surviving the private and corporate equity tsunami that is flooding over our industry. Introducing you to a safe community and network of dentists just like you who will support you and help you grow. These people have similar problems and issues of growth that you are experiencing and they are all willing to help each other succeed. Private/secure Facebook and WhatsApp chat rooms to keep the conversations and coaching going so you have daily access to get questions you need answered. KOLBE A and PRINT assessment tests to educate you on your natural strengths and challenges as a leader in your practice. Help you define your vision for the practice. Help you understand the employee life-cycle in your growth process. How to use these reports to make sure you have the right team in the right seat on the bus. Firing protocols if you need to help some of your team off the bus. A hiring solution to help find the right-fit team members on the bus. Accountability systems to keep them all in check. How to influence them to change or adapt to new systems and protocols. How to find and hire associates along with associate bonus programs to keep them engaged and striving to improve their case acceptance rates. Associate contracts and buy-in protocols to make it a win-win event for both sides. 80/20 team leader system to learn how to delegate or eliminate the irritating tasks and empower your team to be CEO’s of their department. A. His Practice graduated from the $750k-$1.5M group to the $1.5M+ group. B. He had a 50% increase in time away from the office as his hours worked went from 5-6 days/week to 3 days/week. C. He added his first associate dentist and we guided him through every step, from hiring, contracts, pay structure, buy-in options, incentive plans and more. D. Because of his radical growth, last month he took home his first $60,000 profit check from the practice, the most he’s ever been able to take home in a single month. After Year 2 of the program, he was able to grow his practice by an additional 48% over year 1! D. Now looking at adding more associates, expansion and possibly a new start up of an ortho/pedo practice. 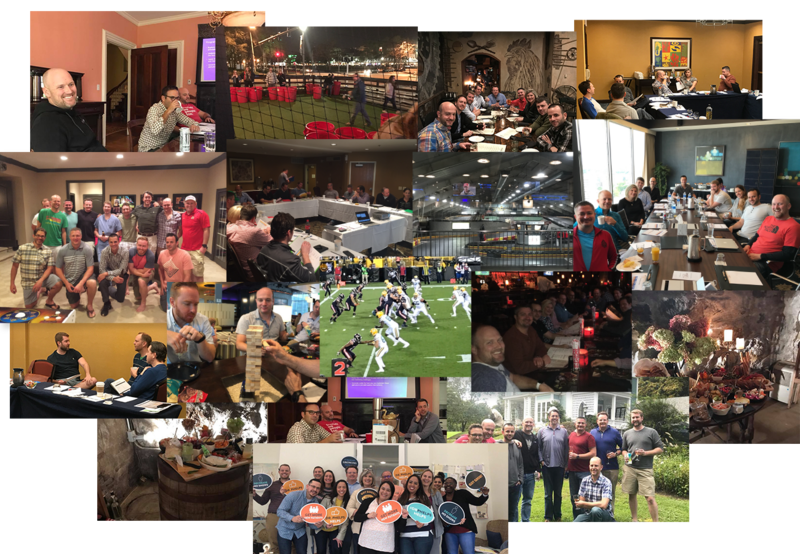 E. Over the last year his growth has helped him to go out of network with the majority of his PPO plans, as of Jan. 1, 2018, he'll be going out of network with his last PPO plan. Congrats Dr. Bowman! A. Multi-practice doc with 3 locations, was able to purchase Practice #4. B. One of his main practices he focused on while at Strategic Practice grew from production/collection per year of $1.9M/$1.6 to over $3.3M/$2.9M. This is not a typo but a great example of the radical growth you can achieve as well. C. Added 2 associates, 2 hygienists while buying out ownership shares of his old partners. B. Graduated from $750k-$1.5M/year group to the $1.5M+/year group. C. Paid off business loan for practice. D. Went from 6 weeks of vacation/year to 7 weeks. E. Reduced his days worked from 4 to 3 days/week. F. “For me it wasn’t how much you produce but how much you take home and how much you work. That’s what I focused my Dials on.” He did just that. A. Production/collection per year from $1.1M/$1.0M to over $1.4M/$1.5M! A 50% increase in collections from the year before. B. Focused 2 of his 5 Dials on cleaning up overdue Accounts Receivable and switching his office over to a pre-pay system before his patients could schedule chair time with him. A. Production increased by over 24% and Collections increased by over 20%. B. Bought land, built brand-new building. Adding CBCT and starting placement of dental implants. C. After year 2 we are 37% higher. A. Collections grew from $1.2M to $1.4M despite seeing 25% fewer patients. B. Dropped 60% of the insurance plans he was in network with. C. Focused one of his Dials on dropping those PPO plans and growing his new in-house membership plan we helped him create to find a better quality fee-for-service patient. 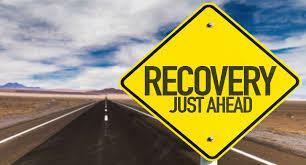 D. After being in network with 15+ insurance plans, thanks to the Strategic Practice dropped over 50% of them and by the end of year 2 in the program should be in a position to go out of network with the rest. A Two offices grew by $294k Production and $250k Collections. B. Took one full week off per quarter. D. Looking for 3rd possible practice to purchase. He does all of this while talking to you like you are a personal friend. He gives you all of the information that you need to do this yourself, and if you don't want to do it on your own, he does offer his services for a fee at the end of the book. While he does sell a service to dentists related to dental membership plans, he isn't pushy like some dentist-authors who try to sell to you on every page or at the end of each chapter. Overall, this is a very valuable book and will help grow your practice immensely if you put Dr. Phelps' suggestions into practice. "Dr.Phelps is a top quality educator who has helped me and many other dentists improve our practices. He has contributed so much to our profession." 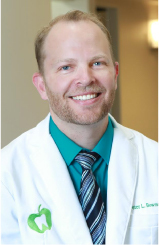 "Dr Chris Phelps is dedicated to advancing the profession of dentistry and to helping his fellow colleagues learn to care for there patients and there team at the highest level possible. 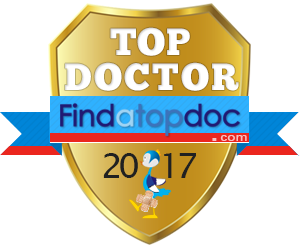 Helping docs help there patients, a win-win for all!" "Dr. Phelps has been a great mentor and coach for me! I have attended several of his lectured and he also helped me find a great implant course and mentor. We loved the persuasion course that he conducts and have just finished our Kolbe tests that he will help us with as a team!" "Dr Phelps has great knowledge and is very willing to share. He has been a great mentor and teacher of his talents. I highly recommend him." "Dr. Phelps is a wonderful teacher and influencer. He helped me identify the right implant course and mentor for my style of practice. In addition, he helped my team learn how to use powerful techniques when presenting cases to patients to ensure they can make clear choices for all their oral health needs." "Dr.Phelps is a great educator and communicator and what I love about him is he is great at simplifying things. Dr.Phelps is the best !!" "Dr Phelps is an awesome teacher !! Learned a lot from him !!!" "Dr. Phelps is an amazing doctor and educator! There’s a reason doctors all around the country fly to North Carolina to learn from him. I can personally attest to his skill and his character. We need more doctors like Dr. Phelps!!!" "Dr. Phelps is Ana amazing educator and innovator in our dental profession." "Dr Chris Phelps brings the most insightful and useful information to dentists in the CE world. His teaching of the principals of persuasion will move the metrics on your business greater than any clinical skill set you could learn." "Dr. Phelps is a thought leader in dentistry. His contributions will not only shape the profession, but it will change it for the better." "Dr. Phelps is extremely knowledge and a master of his craft. I would love to be a patient at one of his practices." "Dr. Phelps is a leader in dentistry being able to start multiple practices and now being able to mentor other dentist and providing dentist with programs to help their business.. he is top notch in my opinion!" "I have learned so much from Dr. Phelps. I have listened to many podcasts where he has been the guest and have had internet forum type discussions with him on many occasions. He always brings huge value!" "Great inspiration. Helped me on a personal and professional level. So glad we have someone like him in the profession." "Dr. Phelps is an excellent lecturer. He shared his success with his In-House Cost Savings Plan and marketing to seniors. I have implemented a similar program with his guidance and found it well received in my community. This type of marketing makes dentistry affordable for an underserved population." "Great and bright mind. Always thinking how to make everyone life easier. Dr Rondon"
"I have known Dr Phelps since March 2015 when I took one of his courses. Through the knowledge I gained at his course as well as his constant follow up with me he has helped me grow my dental office significantly. Dr Phelps is a great clinician as he teaches other dentists how to place implants. However, at the core of it all is a man that really cares. Dr Phelps has helped many grow their dental practices as he takes a keen interest in not only them as a practitioner but them as a person. Im blessed that our paths crossed!!" "Always looking forward to Dr. Phelps presentation and opportunity to learn something new from him." "Dr Chris Phelps is one of the best instructors I know. He's passionate in his teachings and helps others become better in their craft. Appreciate having this positive influence in our community." "Dr David Phelps is the one person who helped put me on the right path towards financial freedom. He also exposed me to many other great thought leaders in several other areas concerning business, personal growth, leadership, and alternative investments. I will always be grateful for the direction he gave me." 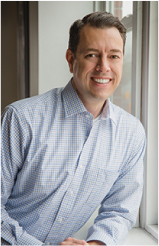 "Dr Phelps is a knowledgeable & empathic clinic who takes pride in everything he does! He has achieved a lot in his career!" "I've enjoyed watching Dr. Phelps treat difficult cases in a practical and repeatable manner." "Fantastic dentist who’s willing to take time to help others. True selflessness and that is not so common these days." "Dr. Chris Phelps is a though leader in our profession. He is not only a world class clinician, but he is an amazing educator and business owner. Really a great guy all around." "Dr. Phelps is great, has a lot of knowledge on grass roots marketing. He was able to grow a large FFS practice and utilize many tools not traditional to dental marketing." "I can't say enough good things about Dr. Phelps. In addition to being an outstanding clinician, he is an excellent teacher as well. I have learned so much from Dr. Phelps that I have been able to immediately incorporate into my practice and my personal life." "Love his material on the sales techniques that are ethical and influential. Helps any dentist in any part of their career." 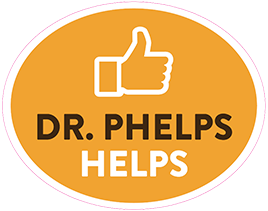 "Dr. Phelps has helped many of my clients who are doctors across the United States! He is so knowledgable and giving!" "Dr. Phelps is highly regarded in our field for a reason. His devotion to education and commitment to sharing his knowledge is truly inspiring!" "Chris Phelps is a great dentist who really knows his stuff! He goes above and beyond in terms of service and creating value for the service he provides." "Dr. Phelps is a great dentist with cgood communication skill. He is caring and knowledgeable. He loves to help." "Incredible insight, information, and wisdom. I will take what I’ve learned from Dr. Phelps through the rest of my dental career." "Dr Phelps is awesome! He is talented and highly skilled and is always willing to help and support doctors like myself. I’m glad to have had the opportunity to have worked with him." 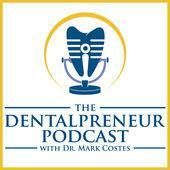 "Dr. Christopher Phelps is an excellent dentist, speaker, leader and entrepreneur. He is one of the most well rounded professionals I know. We are so glad to have him in our industry." "I know Dr. Phleps for many years. He is one of my first mentors for my implant training. Couple a months ago , I had difficulty finding restorative parts for an old implant system that does not exist anymore, and Dr. Phleb went above and beyond to help me with the case. I never forget this. I have learned a lot from him. Thanks Dr. Phleps"
"Dr Phelps wonderful training, insight and advice has helped our office provide more quality treatment motivated patients." 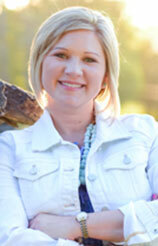 "Dr. Phelps has mad a huge impact on my ability to effectively communicate and help my patients. I am greatful for the lessons I’ve learned from him." 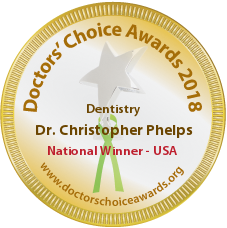 "Dr Christopher Phelps is a phenomenal comprehensive dentist. Not only is he an expert in our field, he teaches other doctors how to implement "best practices," into their offices. I for example, read his book and am in the process of implementing one of his "in office financing programs." Not only is he a smart and genuine dentist, he is a gentleman as well. One of the best out there. PERIOD!" "In 25 years as a dentist I have taken hundreds of CE hours. I rank Dr. Phelps as one of the top educators of dentists I have ever experienced. His level of knowledge and his teaching skills blew me out of the water. His information can be installed immediately. Not only will I recommend him to colleagues, I will be educated by him again in the very near future." "Dr Chris Phelps is an original and is helping dentists everywhere." "Dr. Phelps advice has allowed me to provide better care to my patients and grow my patient base! He is a great mentor to our profession! Thank you Dr. Phelps!" "Great insight in the dental field, has been a great mentor to me and setting up certain systems in my office." "Dr Phelps is an amazing clinician. My encounter with him was through a Persuasion course. He has impeccable communication skills, the way he relayed the information...made so much sense. He is a gem in our tribe. My vote goes to him for Doctor's Choice Award." "Dr. Phelps takes dentistry to the next level! I would highly recommend him for your dental needs!" "Dr. Phelps is committed to excellence in dentistry. He wants to provide what is best for his patients, and he helps dentists around the country to provide what is best for their patients as well." "Dr Phelps has a very contagious passion for dentistry. The wealth of clinical and practice management knowledge Dr. Phelps has is remarkable. His tips continue to help my practice excel. I think he is a great candidate for the Doctors Choice Award." "Dr. Phelps is an amazing dentist and educator. 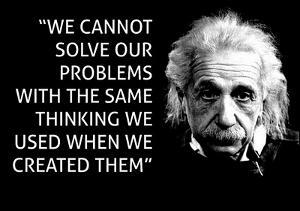 He shows an amazing ability to think critically and outside the box. His skills in practice management, advertising, and patient acquisition are unmatched. He is a very impressive lecturer, and he has been the one lecturer who has stood out most in my mind throughout my career. 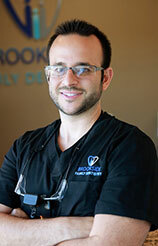 His demeanor, people skills, and dental knowledge make him a great dentist to any patient." 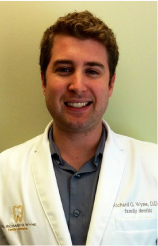 "I met Dr. Phelps when I was finishing dental school and have since taken a course with him. He is nothing short of charismatic, knowledgeable and an active participate to helping all those looking for it. Highly recommended for anything in the dental field." "Dr. Phelps is a very competent clinician. His chairside manner is excellent. He is also an excellent teacher to fellow dentists. He always makes himself available to help and answer questions. He is very knowledgeable in many phases of dentistry." "Dr. Phelps is a consummate professional. He is thoughtful in his approach to patient care and innovative in his practice." "Chris Phelps is a knowledgeable and experienced clinician, interesting & engaging speaker, helpful & inspiring colleague. Well done!" "Dr. Chris Phelps is the real deal. I have learned so much from him and I consider him to be one of the best in Dentistry!" "Dr. Phelps is undoubtedly a talented entrepreneur, general dentist and author. 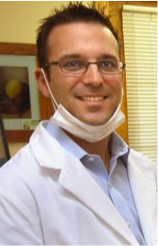 He has contributed much to the dental profession and is an outstanding nominee for Doctor's Choice Awards!" "I had the opportunity to speak with Dr. Phelps...he's as good as advertised. The information he shared with me was original, insightful and just plain smart. No gimmicks, no shady sales, no pressure techniques to trick the patient...instead, he uses to power of choice (as described above) and reciprocity to create the environment for favorable responses and communication. Go to the course, I plan to do so at some point for sure!" "Dr. Phelps and team including Mr. Yagey were par excellence for me. In this era of CE courses in dentistry being sold to dentists solely for income of the presenter and the dentist going home with no useful data, it was humbling to come across Dr. Phelps playing it right with a large heart. These dentists are the true leaders of the profession, they choose to give to the profession even if they are not getting a whole lot back." "Dr. Phelps is an excellent lecturer, entrepreneur, and clinician. He is committed to providing quality dentistry while increasing the access to dental care within his community. Furthermore, Dr. Phelps is dedicated to sharing his clinical and entrepreneurial knowledge with the rest of the dental community; he frequently lectures nationwide and teaches implant dentistry at his own training institute." "Dr. Phelps is a mentor to many other dentists because of his knowledge and reputation within the field. He has experience treating patients in all aspects of dentistry and is accommodating with your schedule. I highly recommend him." "Dr. Phelps is a phenomenal doctor and amazing teacher. I continue to grow as a practitioner under his guidance." "Dr. Phelps is an amazing lecturer and an even more amazing individual. He provided me with numerous tips about the real world of dentistry while I was in dental school that I've carried with me into practice. I have been very fortunate to have met Dr. Phelps and even more fortunate to learn from such a brilliant dentist." "Dr. Phelps is an excellent,skilled, multifaceted dentist and an amazing visionary and lecturer. The profession is lucky to have him." "Dr. Phelps is both knowledgeable and giving. He has shared his gifts with our dental group which in turn has helped each of us grow and organize our practices. He is a great asset to those who he comes in contact. Thanks to you Dr. Phelps for all you've done and for all yet to do." "Highly recommend Dr. Phelps. He is someone I go do when I have clinical questions." 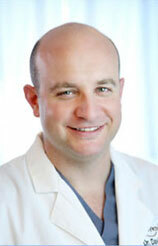 "Dr Phelps possesses many enduring qualities that make him an excellent clinician and person. I have known him for many years and each time I attend a workshop or class I continue to learn and implement ideas into my practice. I would encourage any dentist to seek out Dr Phelps and attend a class." "Dr Phelps is not only an excellent dentist but a fantastic person as well. He takes care of his patients as if they were family, and has been instrumental in helping me become the best dentist i can be"
"Excellent clinician and teacher. Dr Phelps has been instrumental on my journey in implant dentistry. A truly caring professional." "I have been to several of Dr Phelps' lectures. I have found that his lectures are engaging, relevant, and very useful. It is obvious that he takes pride and pleasure from helping colleagues reach higher levels of practice performance." "I'll keep it plain and simple: no dentist has taught me more than Dr. Chris Phelps has. Enough said." "Dr. Phelps is a great doctor, mentor, and friend. I would refer anyone in my family to see him." "Dr.Phelps has a unique chair side manner and knowledge of dentistry that is a model for fellow dentists. He is always exploring new and innovative practices to provide a dental experience unlike any other. His knowledge of our field allow him to be an innovator and role model." "Excellent clinician who is always willing to go the extra mile to help a patient." "Dr Phelps is a true visionary and industry leader. He is driving innovation that will make dental care more efficient, predictable, and accessible. On top of all that he is a first rate internationally recognized educator. I am honoured to know him, and his patients are lucky to have him!" "Dr. Phelps is an amazing doc and a leader in his field." "Dr. Phelps is an excellent clinician, entrepreneur, and an educator. He is committed to providing his patients top quality care in a setting that is comfortable and convenient. Additionally, he is an amazing instructor to other dentists in various areas of dentistry. He is truly a gifted presenter and a world class clinician. I would recommend Dr. Phelps to anyone who needs quality dental care or to any dentist who wants to learn from the best!" "Dr. Phelps is well known internationally as an outstanding clinician, serial entrepreneur, teacher / professor / mentor and a humanitarian. Dr. Phelps thinks outside the box and views what most think of as barriers to be nothing more than challenges to conquer. His insight and solutions have been instrumental in making enhancing the lives of both patients and other health care practitioners." "Dr. Phelps is an excellent clinician who runs an amazing practice. No one surpasses his passion and skill for implant dentistry. He literally has dentists from all around the country fly in to learn from him. Additionally, his office offers convenient hours Monday through Saturday. Between his skills, convenient hours, and the amazing staff it is an excellent place to get your dental work done." "I found Dr. Phelps to be a very skillful, competent implant surgeon. I would highly recommend him for your dental needs." "Chris displays a humility and compassion for others that is rarely seen today. He is an open book, willing to help and see others grow and succeed. Congratulations Chris, this nomination is well deserved." "I am honored to call Dr. Phelps, my friend!! He is a phenomenal dentist, a mentor and a coach!! I highly recommend him!" "Chris is a great guy. He is a great lecturer and tremendous problem solver. He makes time to help you and has genuine interest assisting you discover solutions to dental or life obstacles you may be having." "I know hundreds of dentists around America. Dr. Chris Phelps has undoubtedly had the most influence on my career as both a skilled clinician and a business owner. His ideas are as unique as a platypus lays eggs and they have powerful positive impacts. Dr. Phelps' generosity of ideas to the dental community and problem-solving is second to none. Absolutely is he at the top of my Doctors' Choice." "Dr Phelps greatest strength is his natural ability to breakdown ideas and teach them to others. I have been to his courses many times and wittnessed the participants grab onto these ideas and run with them." "Dr. Phelps is a great teacher in dentistry. He has taught me many things to help better communicate with my patients and make them feel at home and comfortable with dental care." "Dr Phelps is a committed clinician, always learning the latest techniques in dentistry and then applying them in his own practice. He is also an excellent teacher and he shares his knowledge with dentists around the world." "Dr. Phelps is an amazing clinician and educator. His devotion to the field of dentistry is admirable and rare. Recommended with confidence!" "Dr. Phelps is a wonderful man and a wonderful dentist. As a practicing dentist myself, I appreciate having him to turn to for his expert advice on patient care and clinical procedures. I cannot recommend him highly enough!" "Dr. Phelps's lectures on running a dental office were excellent and have greatly helped me with my career." "Dr. Phelps' help has been critical in the way I approach dentistry and most of all patient care and relationships. He is a top notch clinician and person and has been instrumental in teaching me how to provide top notch care for my patients." "Dr. Phelps is an amazing dentist. His vast knowledge and selfless attitude is second to none. He's highly skilled and is always ready to help his colleagues find solutions. He has made a major impact on dentistry and continues to find ways to make the profession more exciting." © 2019 The Strategic Practice. All rights reserved.